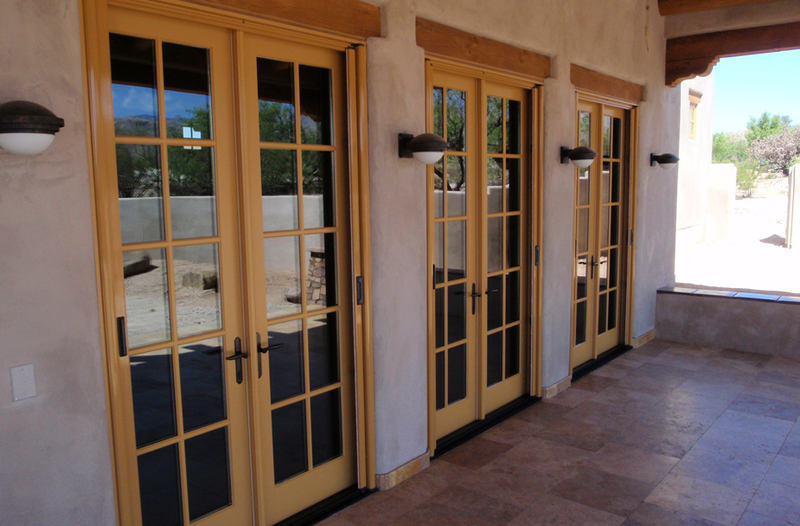 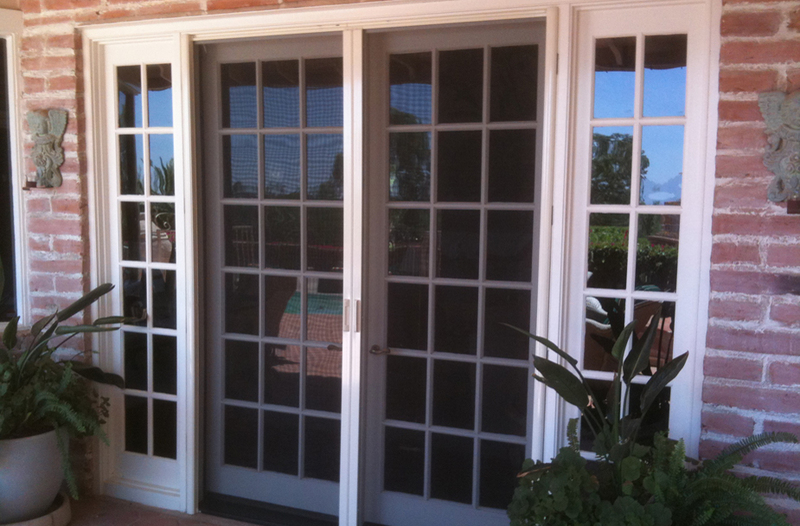 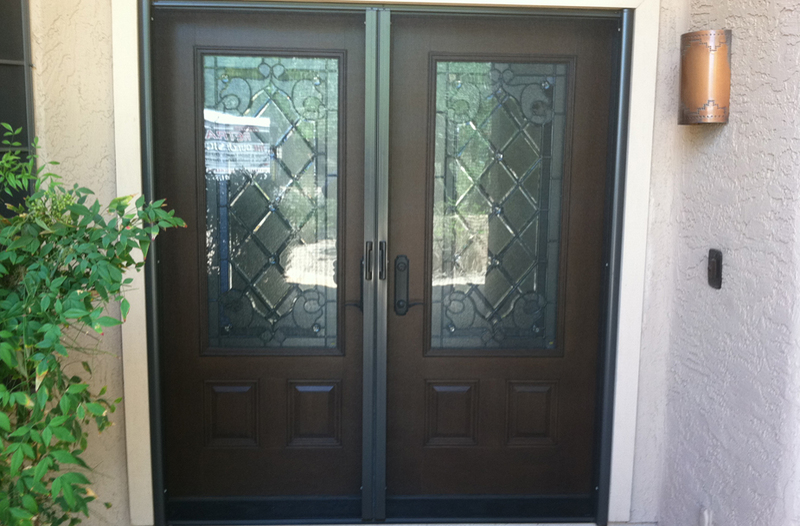 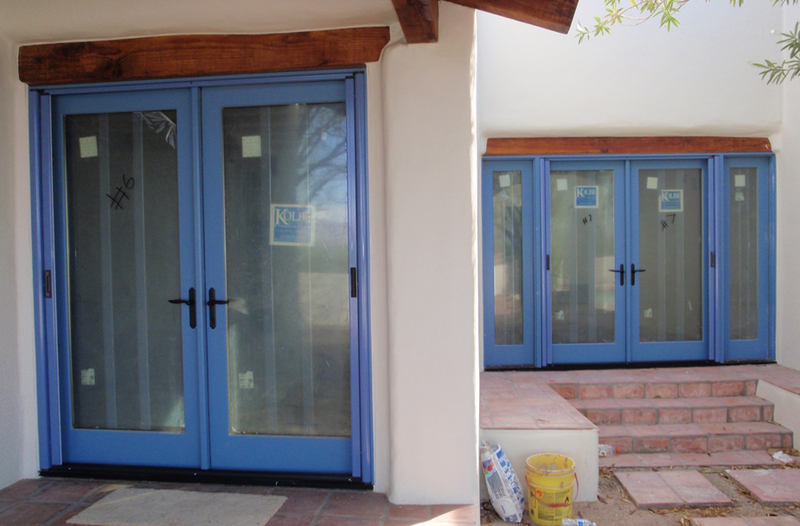 Our outdoor retractable screen doors are an elegant upgrade from traditional fixed screen doors and storm doors. 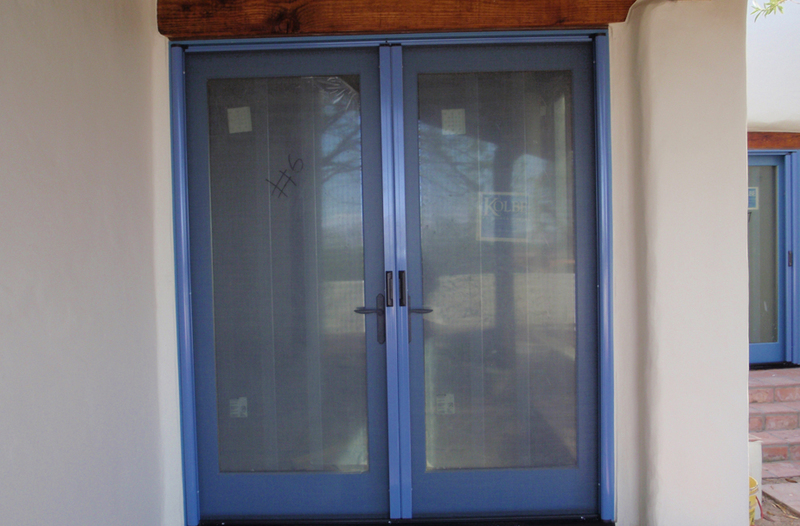 Our retractable screens smoothly slides across your doorway, allowing an open door feel with insect, sun, and debris protection. 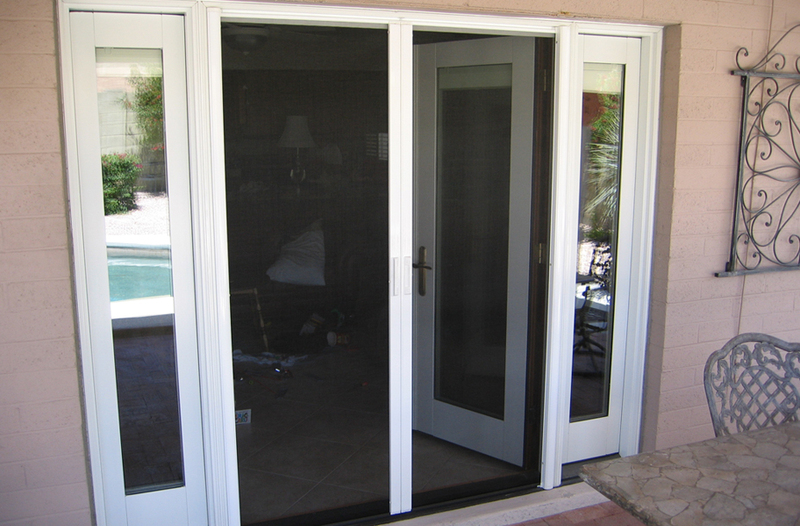 You don't have to open up a screen door to get into your entry door or patio door, like you would with regular screen doors. 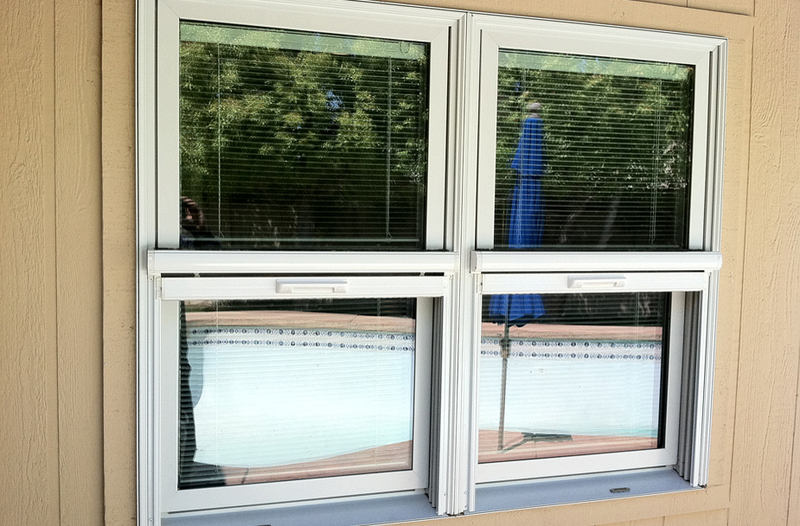 When you aren't using your screens to enjoy breezes or the view, they are rolled up neatly out of sight. 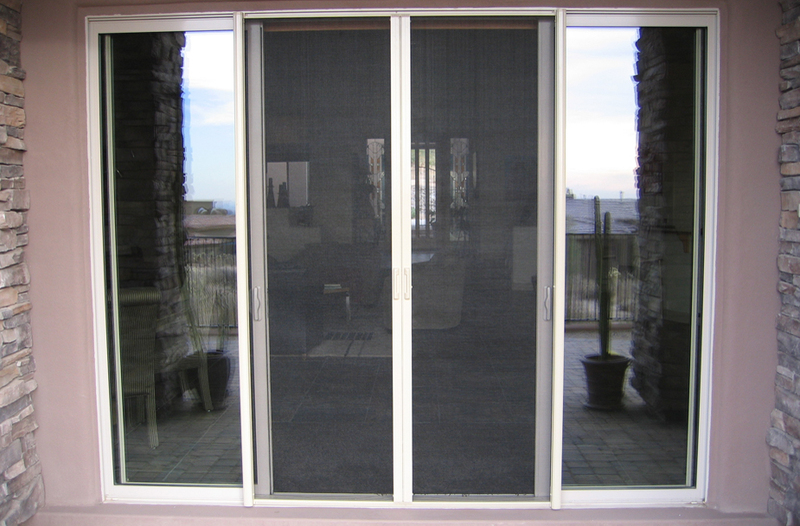 The screen slides seamlessly inside the compact housing, measuring less than 2", and blends in vertically on the side of the door. 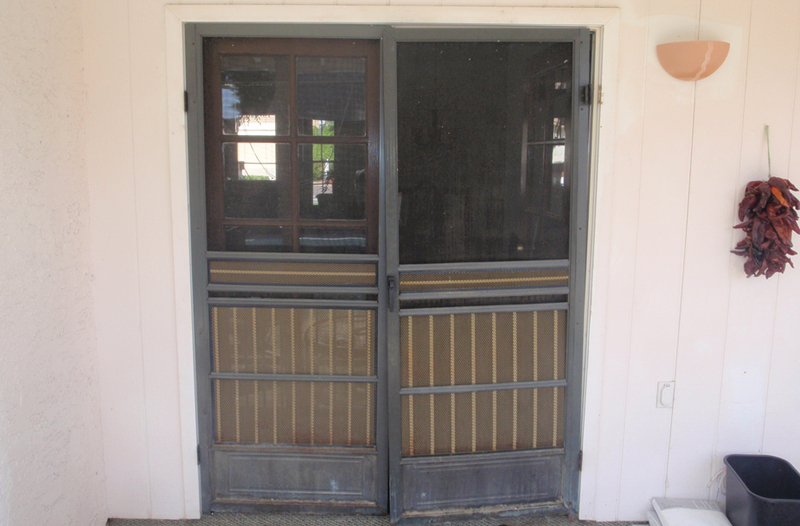 Having a screen door or window open is best utilized when you have another screen open on the opposite side of your house, creating better cross-ventilation breezes that will flow through your home. 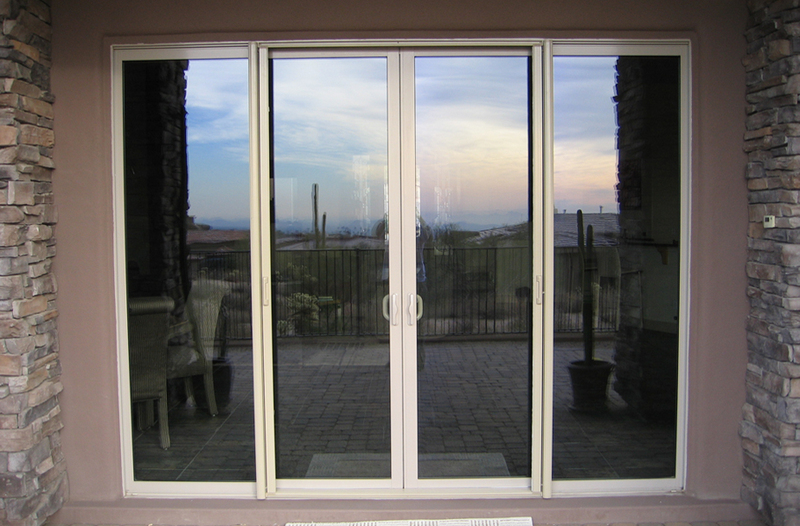 Evenings are best experienced with fresh air and no bugs! 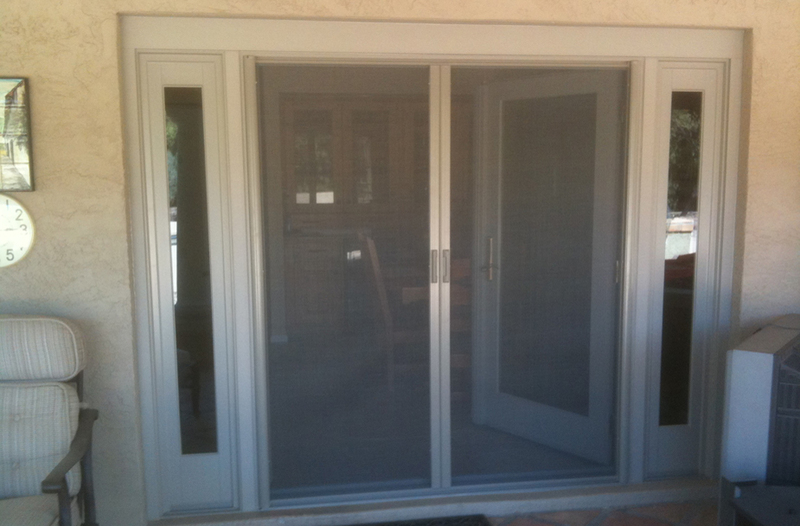 our screens are perfect for outswing doors and tight, small doorways. 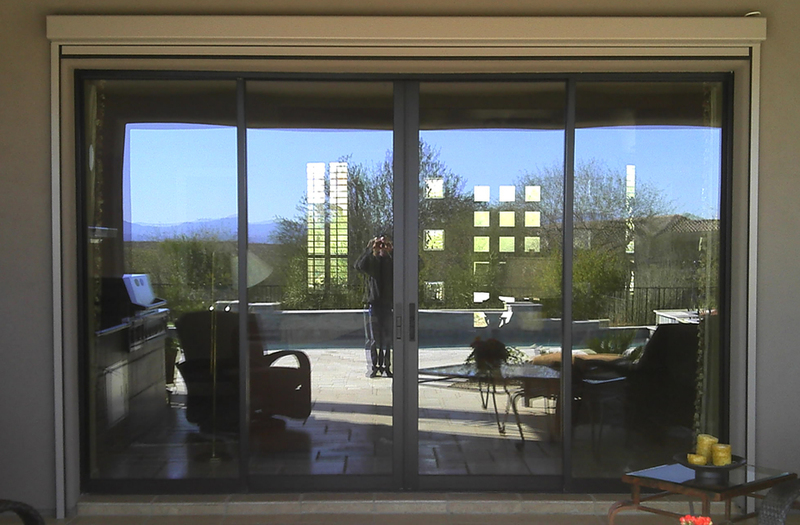 Enjoy the outdoors and natural ventilation while you're in your kitchen, foyer, bedroom, or living room with the sleek option of retractable door screens. 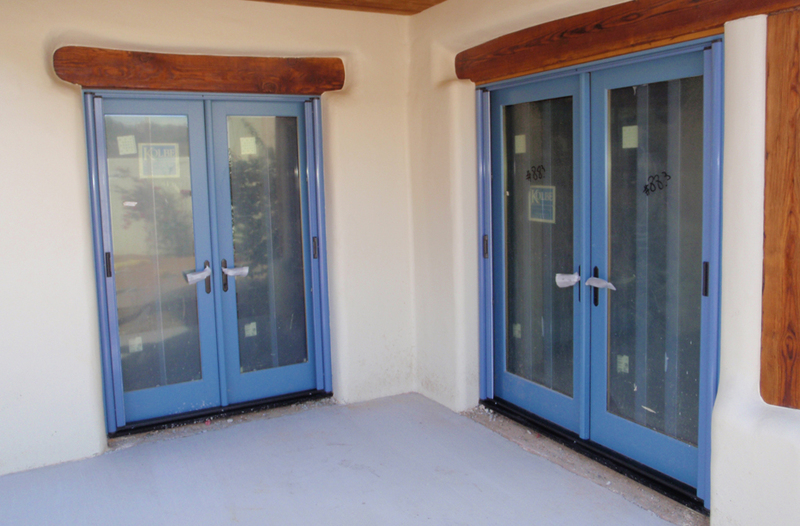 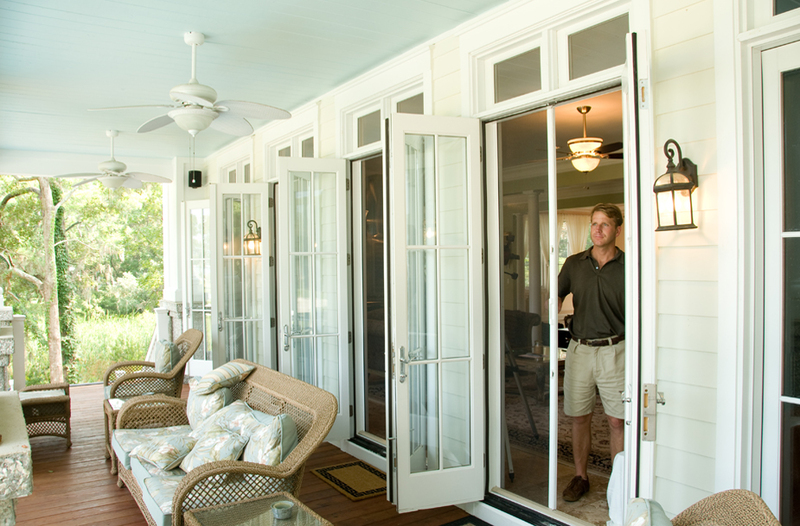 Our retractable screen doors are each custom-built to your specifications, fitting perfectly to seal your opening. 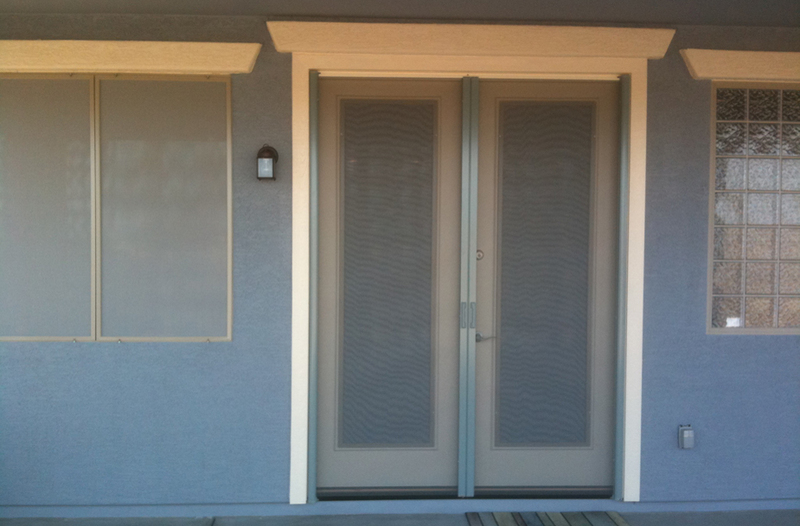 They are installed using your chosen color of housing, where your screen rolls snuggly in to, on the outside of your doorway. 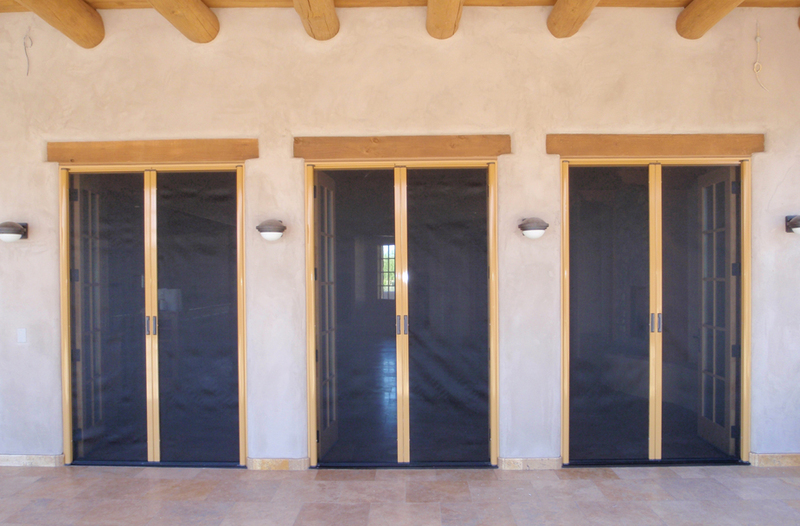 The screens glide smoothly on a track at the bottom and top of your doorway, blending in with the door, appearing to be an "invisible screen". 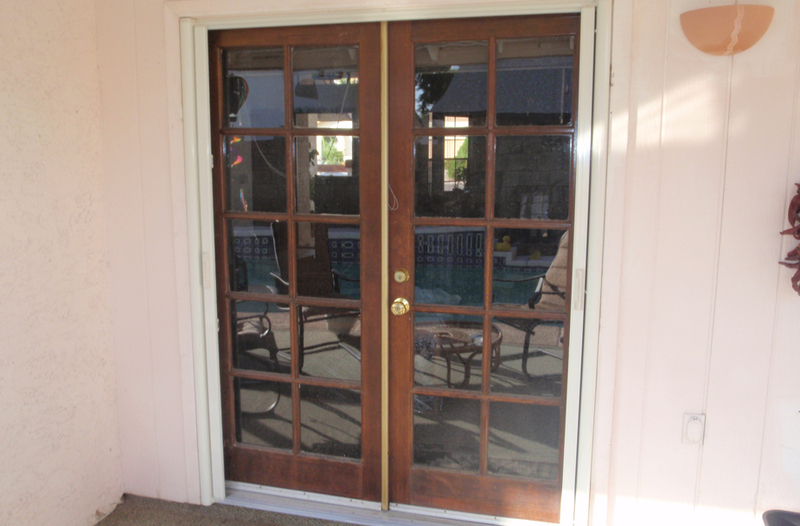 The screen latches to the other side of the doorway with a magnet latch or an optional slide lock. 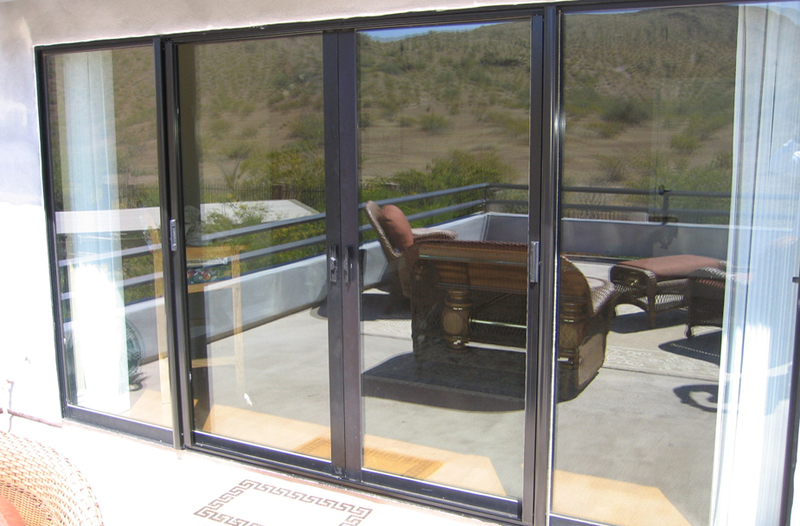 Our retractable door screens are pushed easily by hand and offer a slow close reaction option to allow the screen to close slowly instead of "SLAMMING" back into the housing case. 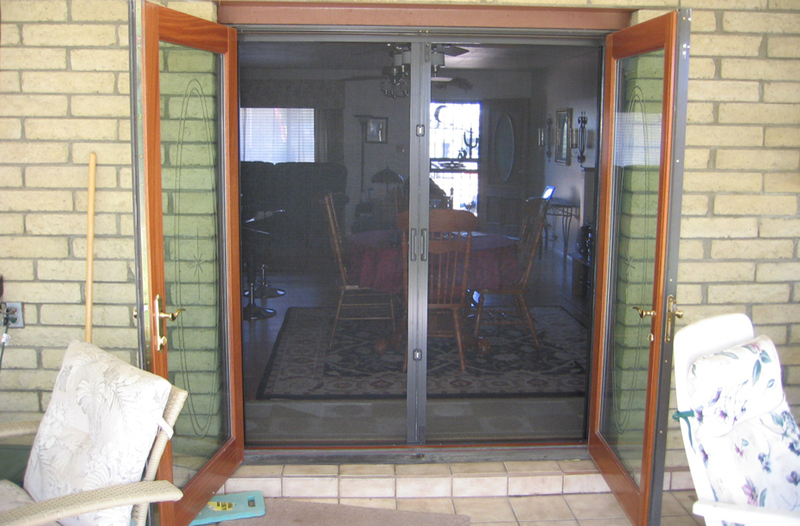 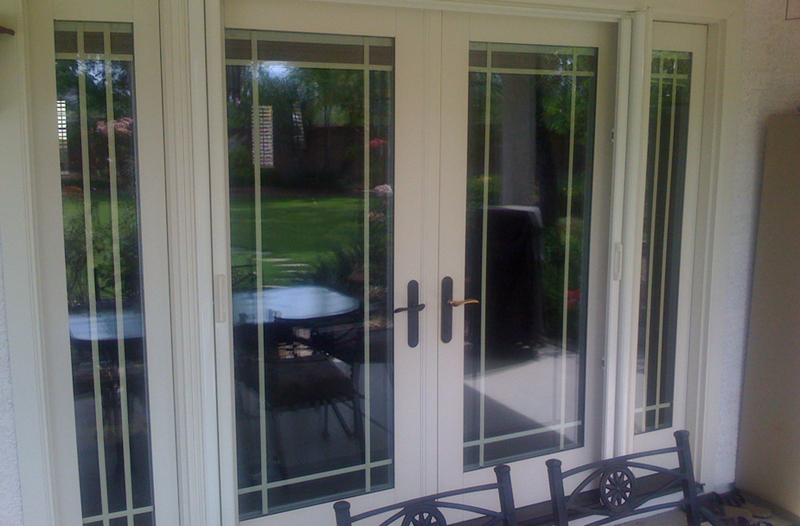 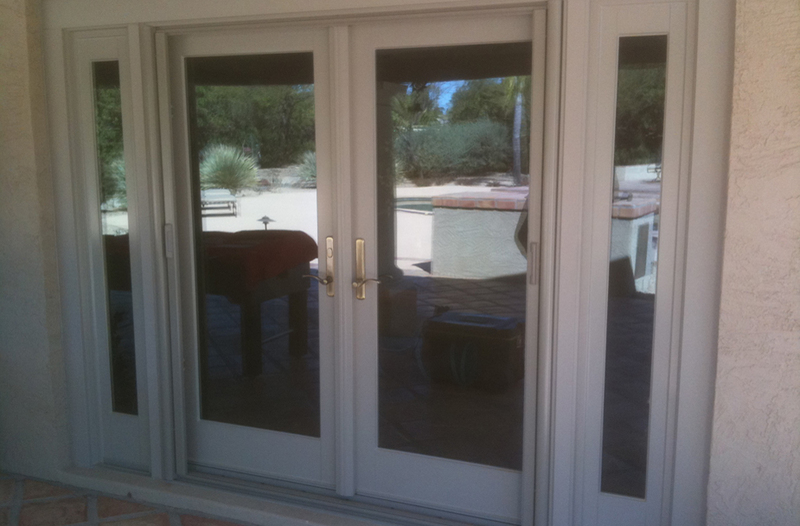 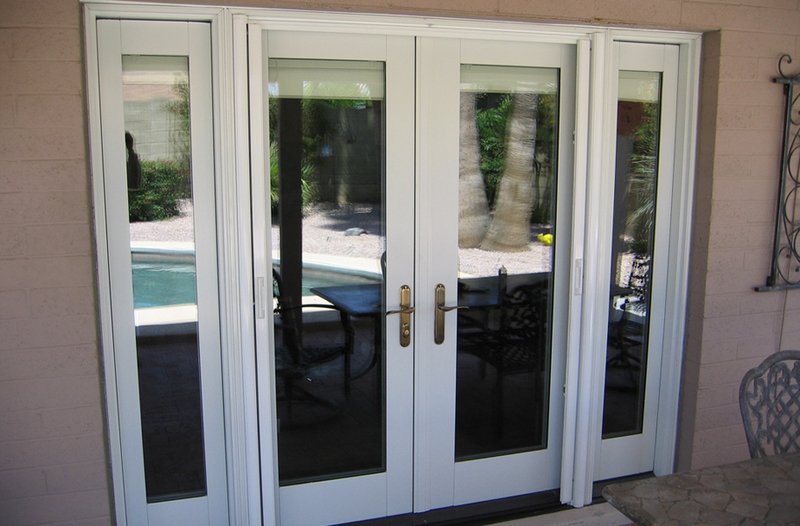 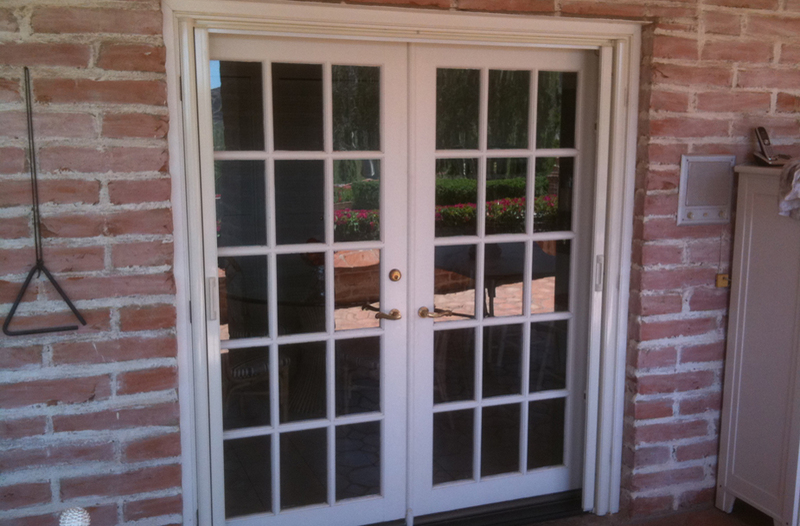 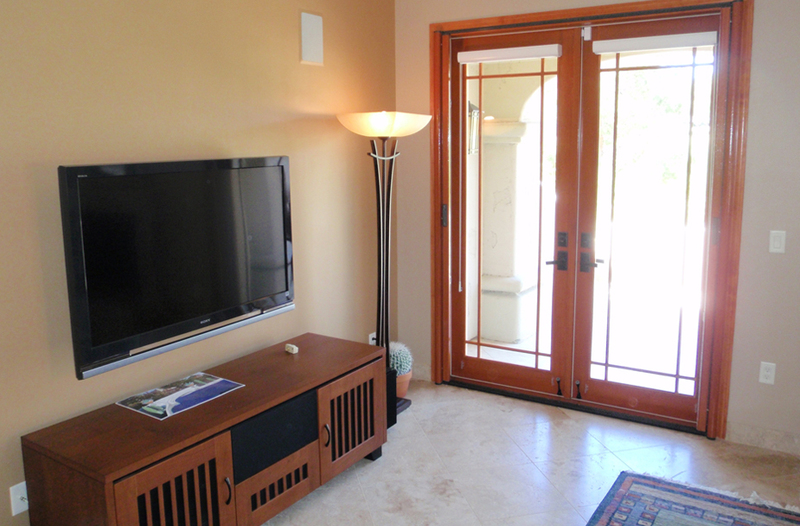 The retracting screen doors are great for screening off French doors. 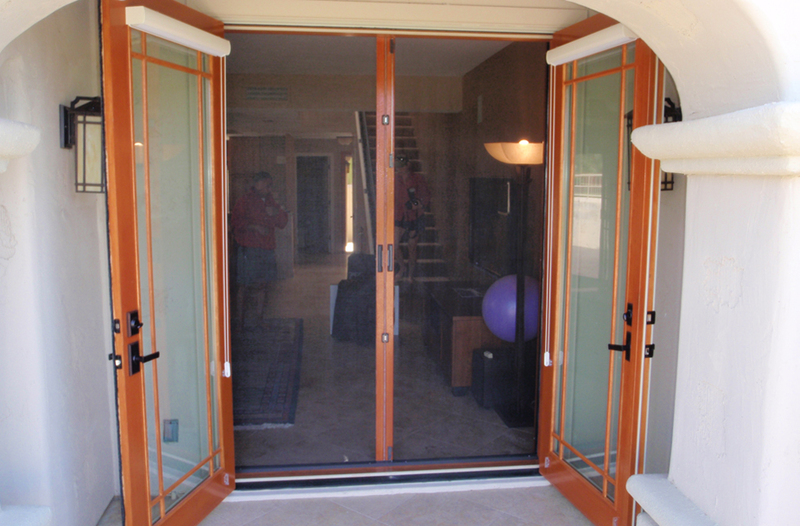 The retractable screens meet in the middle of the opening with a magnet connecting the two sliding screens. 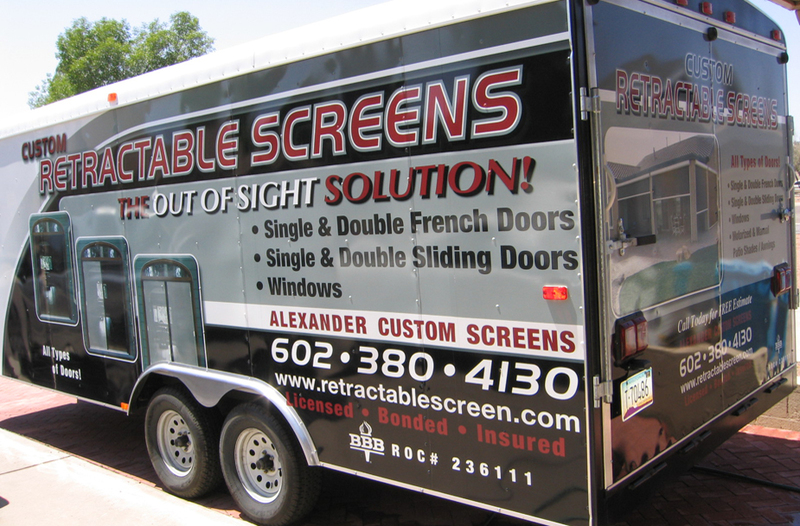 The screen can span 4' wide and 9' tall for each unit. 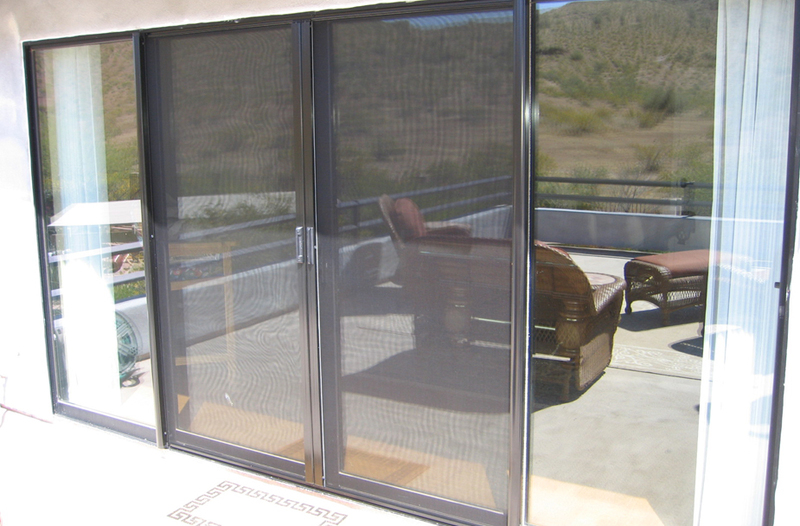 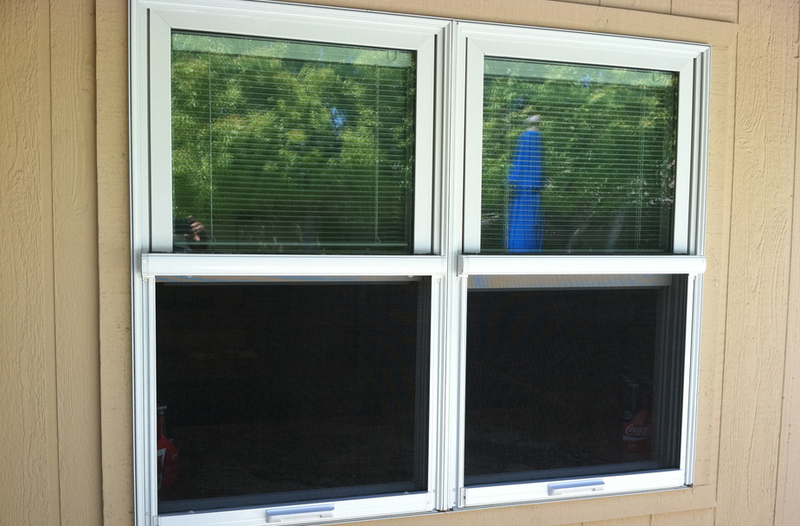 Our retractable screens come with a limited lifetime warranty. 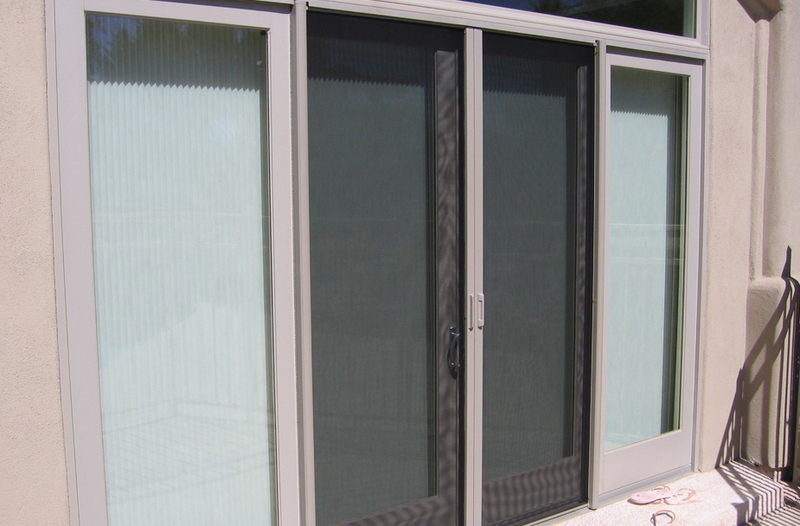 The housing or casing for the screen is small in design, measuring less than 2" wide and is made of powder coated aluminum. 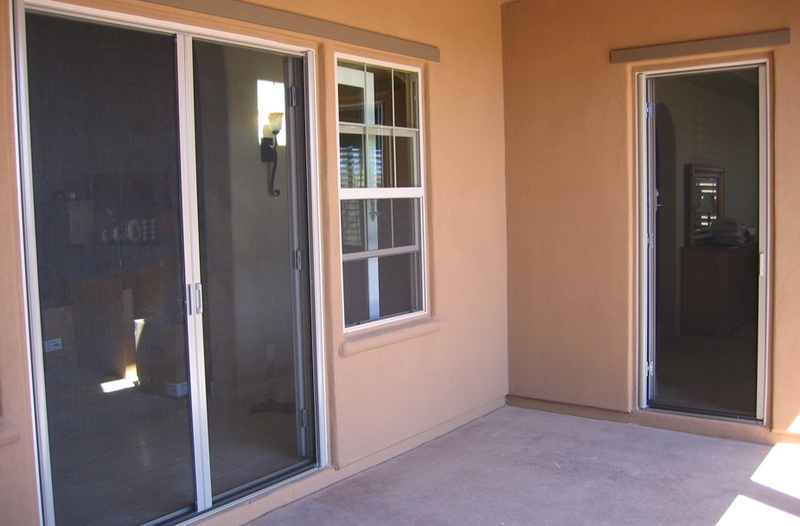 There are 14 housing color options for you to choose from. 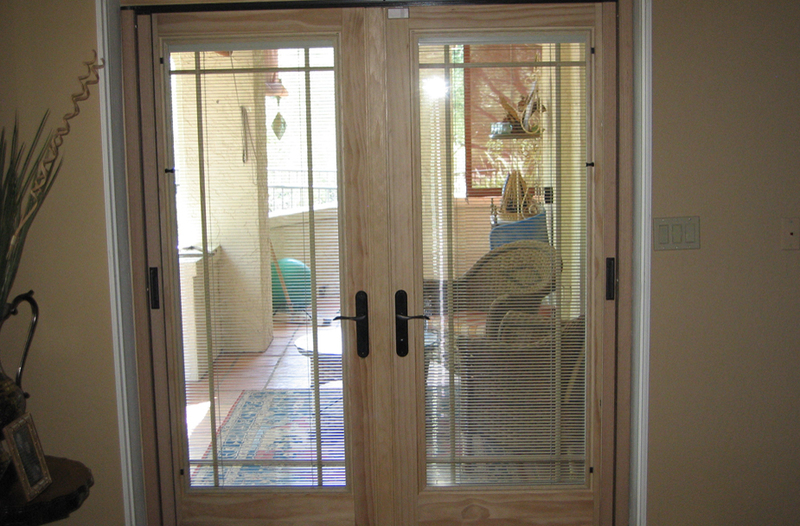 It can also be made with a real wood veneer wrap, which can be stained or painted to match any woodwork. 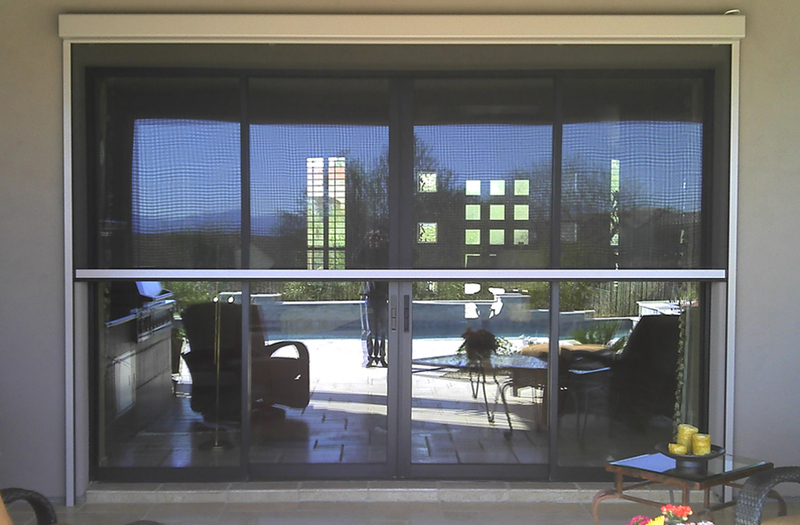 The screen types available are the Standard (stiffened fiberglass mesh), Noseeum (extra-fine mesh provides protection from the smallest insects), Solar (blocks more UV rays than standard), and Pet (heavy-duty resists damage caused by pets).